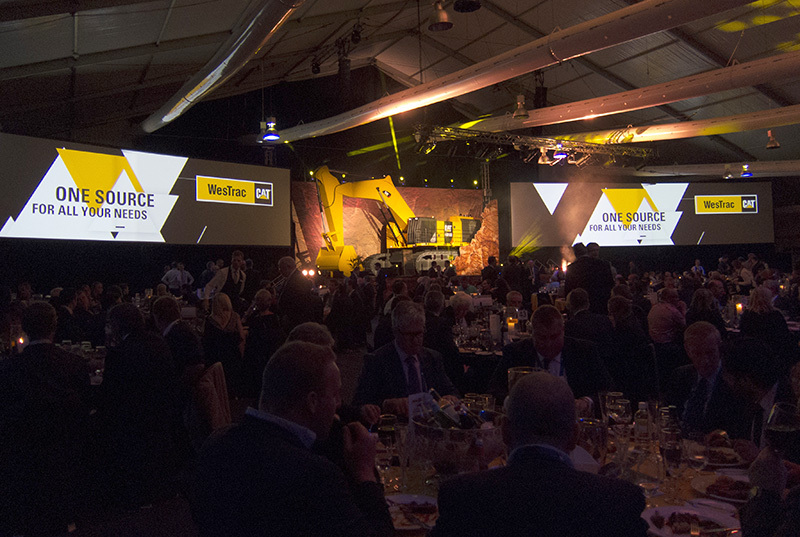 To create a new and visually different audiovisual experience for the Diggers and Dealers audience for the 25th Anniversary of the event. 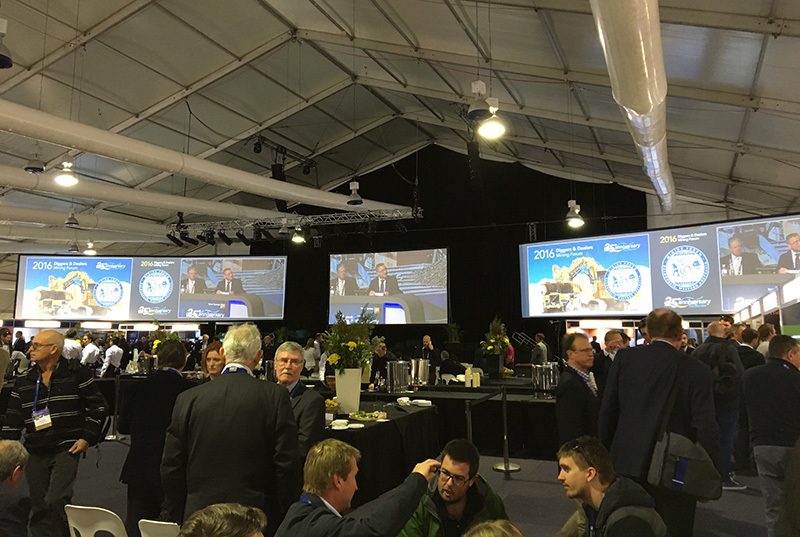 For the very large exhibition hall (a 55m x 50m free span marquee) we utilised two of our 15m wide, dual projector blended screens mounted either side of the stage. 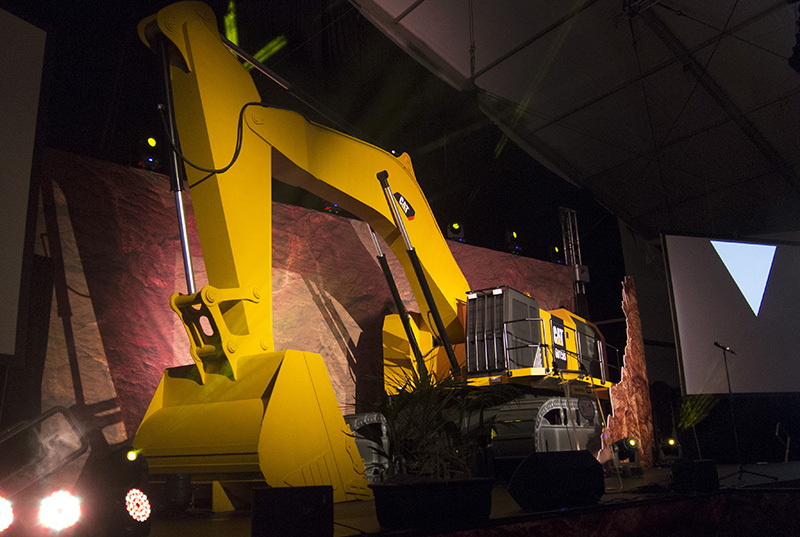 For the Goldfields Arts centre, we utilised our state of the art LED technology. A 10m wide x 5m high wall of 8mm LED was used for the camera image and also insert of 6m x 3.6m 3mm high definition LED to carry the fine detail contained in the presenter’s PowerPoint presentation. 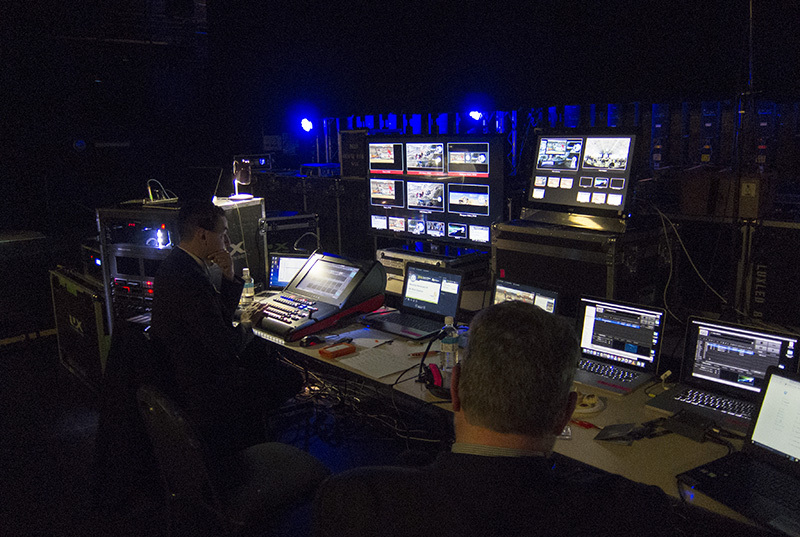 In the marquee, the two blended screens provided high definition simultaneous camera and PowerPoint images to all the audience no matter where they were seated. The images were bright, highly detailed and very large. In the auditorium, we had great success with the LED screens, the brightness was a huge advantage allowing lighting levels to be increased on the stage which gave us greater quality camera images.